Although Myanmar has been shown an open door to the outside world by the recent lifting of economic sanctions, the majority Buddhists have no soft hear for the Muslims living in the country. In fact, Rohingya Muslims in the western part of the country continue to be the target in what appears to be an ongoing campaign of government-supported crimes against humanity and ethnic cleansing. 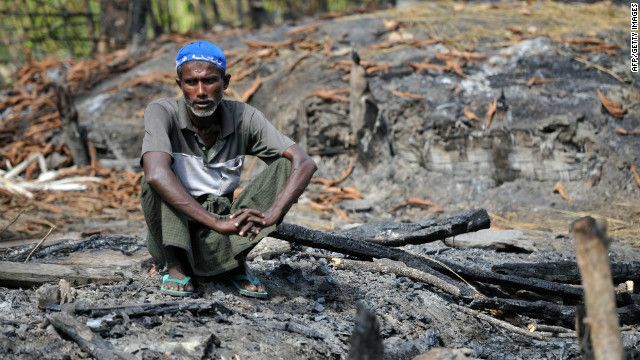 Killings and arson attacks between ethnic Rakhine Buddhists and Rohingya Muslims first erupted in Myanmar's Rakhine State in June 2012, and were followed in October by well-coordinated attacks on Rohingya populations. More than 125,000 Rohingya were forced into dozens of internally displaced camps while tens of thousands of others fled the country, launching Southeast Asia's newest refugee crisis.